I was excited to learn that cosmetic surgery can also repair my c-section shelf ridding me of the loose, sagging abdominal skin that I hate so much. Learn more below about how plastic surgery can help get rid of the c-section shelf, and see if cosmetic surgery is the right solution for you. As many of you know, I have a condition known as diastasis recti, in which my abdomen separated during pregnancy leaving a gap that allows my belly to pooch out. All. The. Time. Ugh! It's a common condition for many mothers of multiples and in fact even mother's of singletons. While this condition, for me, is purely a cosmetic concern, it's a condition that has bothered me emotionally since I had my twins in 2006, preventing me from feeling confident in my own body. In addition to the diastasis recti, I also have a condition called a c-section shelf, a condition which affects many mothers who give birth via cesarean section. A c-shelf is simply loose, sagging skin around the abdomen that hangs over the c-section scar creating an unattractive skin overhang. While diet and exercise did help reduce my post-partum fat, the truth is, working towards a flat belly has only made my c-section shelf more pronounced. While I was doing research to find the best way to correct my diastasis recti, I was excited to learn that cosmetic surgery can also repair my c-section shelf ridding me of the loose, sagging abdominal skin that I hate so much. Learn more below about how plastic surgery can help get rid of the c-section shelf, and see if cosmetic surgery is the right solution for you. It’s as if things just keep getting better. 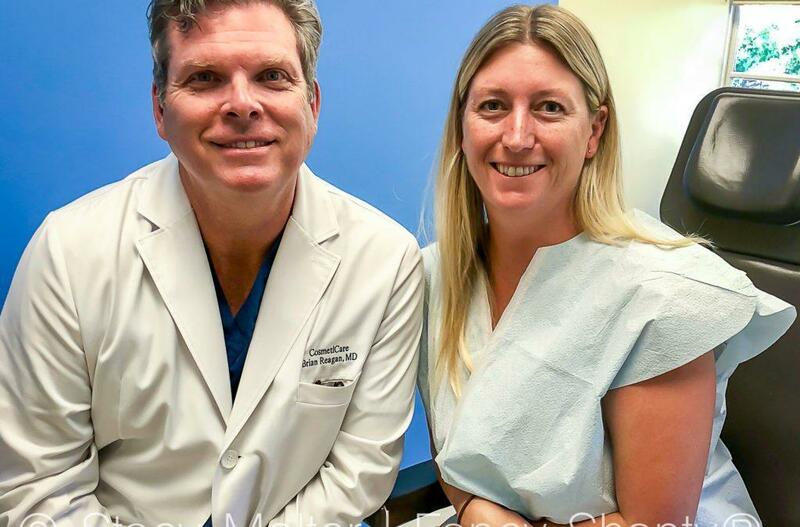 While doing research to see if a tummy tuck is the best solution to repair the diastasis recti I have, I was excited to learn that a tummy tuck can also repair my c-section shelf. What makes me so excited about finding this out, is that the two body image issues I struggle with the most can be corrected at the same time, in one surgery. What I found out while doing research for surgery, was that having an abdominoplasty (tummy tuck) surgery will not only flatten my belly in general, but it can also smooth out the area affected by the c-shelf and may even remove the c-section scar entirely, depending on its placement. While abdominoplasties come with their own scars, usually a long scar from hip to hip, they are generally thinner and have a cleaner look than a c-section scar. During abdominoplasty surgery, an incision is made from hip to hip just above the pubic area. Another incision is made to free the navel from the surrounding skin. The skin is detached from the abdominal wall to reveal the muscles and fascia if they need to be tightened. If you're like me and have diastasis recti, the surgeon will tighten the muscle fascia wall with sutures to tighten the gap. No more belly pooch! The skin is then pulled taught and any excess skin, including the loose, sagging skin of a c-shelf, is removed. The navel is also reattached in a new, natural location, leaving a beautifully contoured stomach with no c-section shelf. With all the exciting information I've learned, you can see why I'm getting so excited to pre-pregnancy body back! Since repairing my body from the effects of childbirth, especially having multiples, is achievable with plastic surgery, I decided to give CosmetiCare a call and book my first consult with Dr. Reagan and I can't wait to share the list of important questions every mom considering cosmetic surgery should ask. 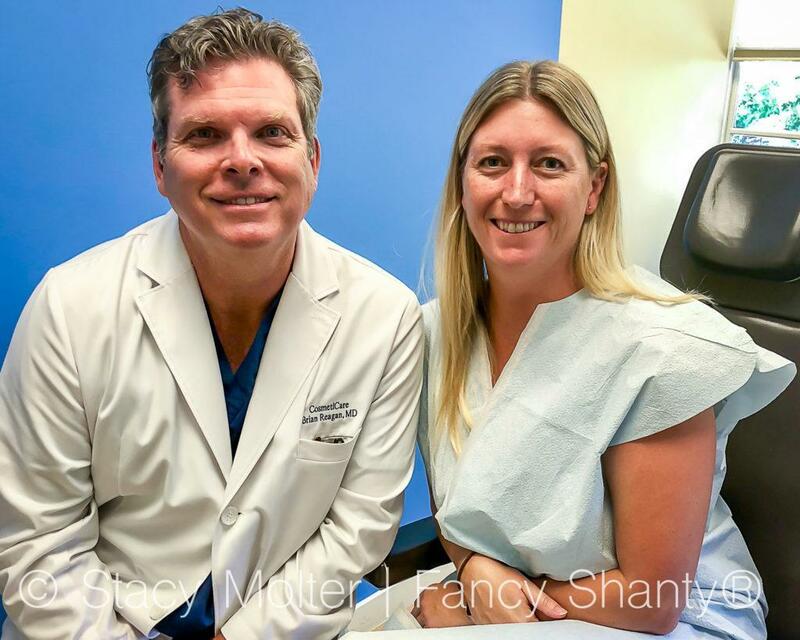 Follow along with my cosmetic surgery journey to learn if plastic surgery is the right solution to give you your pre-pregnancy body back.